Stylish + rugged, The Oberlin is a classic tote boasting an inside zipper pocket and magnetic closure. Made by you bragging rights! Has capacity to carry your essentials plus more. Features four external pockets & an inside zipper pocket. Open top that’s easy to throw stuff in. Designed with French seam construction. 8.25 oz waxed canvas exterior fabric: Naturally water resistant material — perfect for your outdoor adventures in the Pacific Northwest. 28" x 3/4" leather. Hole punched & ready for attachment. 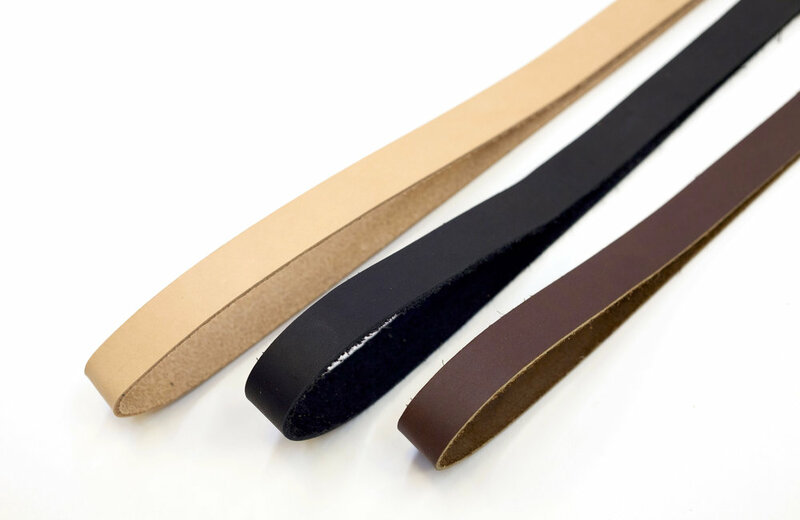 *Vegetable tanned leather will naturally darken over time with use and patina to a beautiful dark brown. Quick-set brads for strap attachment. Hardware choices: Brass, Antique Brass, Black, and Silver.